So all is revealed in the fullness of time. 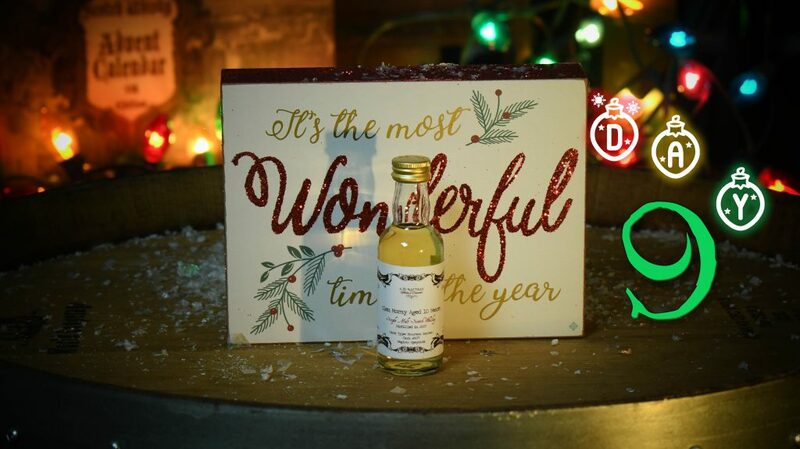 Glen Moray is our comparison distillery this edition and we have a cask off between Secret Spirits Glen Moray 9 Year old from way back on day 4 and this A.D. Rattray bottling on day 9. If you didn’t keep any of the Secret Spirits bottling and you didn’t take any notes you can always just go back and read my blog or check out Whisky Vault or Scotch Test Dummies for a refresher. So how will the A.D. Rattray compete with my mum’s Creamed Rice Pudding. I won’t go into the details on the distillery again but I will point out the comparison pieces we had in previous editions. 1st Edition that you cannot get your hands on anymore for love nor money saw a 3 way battle between Samaroli, Wemyss Malts and A.D. Rattray with the Glentauchers distillery. We only had 3 independent bottlers back then and each one put up a really great cask of Glentauchers that were all very different and unique. 2nd Edition that is still available for a fairly hefty pricetag these days saw Wemyss Malts take on A.D. Rattray with casks of Craigellachie. The Wemyss Malts cask was sherry and the A.D. Rattray Bourbon offering very different takes on a great distillery. 3rd Edition that you can still add to your collection had a battle royale between Malt Whisky Company with their amazing 8 Year Old Sherried Glenrothes and Wemyss Malts 27 Year Old Glenrothes. You would think it was a one sided affair however the Malt Whisky Company cask was incredible and showcased how stunning younger whisky can be. 4th Edition that can be found on our online stores had Samaroli up against A.D. Rattray with different expressions from the MacDuff Distillery. It is so cool to be able to try different casks from the same distillery so we promise to search high and low in all future editions to keep the tradition alive. Colour: Always hard pressed to get a lot of colour from a Bourbon Cask even 1st fill. Light Gold. Nose: This Glen Moray goes in much more of a zesty lemon direction. Lemon pound cake with vanilla icing. Like walking into a local bakery in Australia and looking at the delicious selection under the glass. This smell takes me right back there. Ok bang…. lemon tarts, you know the little pastry shells filled with tangy lemon filling. Finally got right down to it. My wife Cindy says that that I am out to lunch and this is way more pineapple/Pina Colada. I have great respect for Cindy’s palate as it is a scientific fact that the ladies percieve a larger range of smells and flavours. Who do you vote for? Palate: The citrus meets pastry is all over this for me. Sugar dusted fresh baked lemon muffins with a dollop of cream cheese. Finish: High ABV zestiness kicks in big time on the finish for me leaving strong citrus (lemon) continuing for ages. No doubt the finish on this is longer I think than the Secret Spirits Cask. 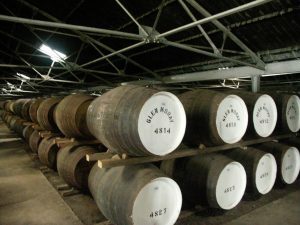 So which cask do you prefer out of the Secret Spirits and A.D. Rattray Glen Moray’s. Did you find as much difference as I did or were they very simal for you? Both Bourbon casks and very close in age but for me very different. Last time around in the 4th edition on day 9 we had Wemyss Malts “The Hive” Batch Strength. Scotch Test Dummies and Whisky Vault share their insights on this cask off so check it out. Delicious times ahead for tomorrow as we get into double digits with day 10. Another cask from Secret Spirits and another distillery making it’s first appearance in any of our editions. Awesome. Getting tropical fruits here with a bit of water. Have to go with the wife’s pineapple over your lemon. Sorry. Prefer this to the number 4. Perhaps this was first fill bourbon and that one a refill? Hehe no need to appologize Charles. Everyone has a different palate and if you can taste it then it’s 100% correct. I’m getting peaches vanilla and coconut with the 10yr old, a touch of water hurt the complexity. Having kept about a third of each bottle so far I was able to go back to the 9yr which had been my favorite to date. Its quite a telling experiment how two expressions only one year apart from the same distillery can differ so much. That’s the beauty of this calendar, getting to experience a single cask that’ll never be tasted again. The 9yr is still my front runner, the creaminess of such a young whisky is astonishing. “A third of a bottle” !? SIR I commend your restraint and am glad that you are being reward for your self control. Next year for me – I promise! Hehe… I find my mood can affect how I taste a whisky so I wanted to be able to go back and compare notes! There have been a few nights where that was tough to do though! Fantastic Adam. The Good news is that the Secret Spirits Glen Moray will be available in the New Year. We are bottling up all the remnants of our casks in 750ml. Gobsmacked! I find vanilla in the nose and palate. A splash really helps. The lemon and pineapple escape me. Sigh. On an overall sensory level, tome, this is my favorite so far such that I’m seeking it out. The LCBO has the 18 year old; I am delighted. Secret Spirits Glen Moray will be available in the New Year. We are bottling up all the remnants of our casks in 750ml.